Smart Floors is a great tool that creates floors in selected rooms and creates hollow core slabs in your model according to surrounding elements. Just click to divide panels, update and easily add or modify offsets, positions and holes. Both standalone and network license types are available. User can easily migrate from standalone license type to network if NLM Annual Service was ordered. Smart Floors very accurately and easily creates pre-stressed concrete floor systems. 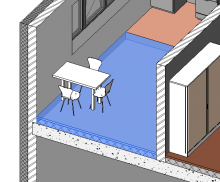 This Revit add-on modifies offsets, position of floor panels and inserts holes into floor systems, and it also permits core floor with finish layers. Smart Floors lets user create smart group of floors to model hollow core slabs, track project changes, and update them anytime. Smart Floors, beside the ability to create hollow core slabs, it can also insert floors by selected rooms to quickly insert different floor layers in different areas. This helps a lot when modeling floor finish. 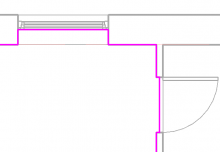 Automatically inserts floors and openings by defined boundaries: walls, beams, reference planes, and grids. 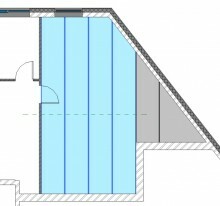 Automatically finds floor boundaries defined by walls and openings. Edit, modify, update settings of selected floor group easily, and follow up project changes. Cuts selected floor panel into two pieces. Creates floors according to the room boundaries. Has the possibility to draw floor boundary in the room according to window/door center lines and solid faces. Inserts or updates floor panels according to the selected walls, grids, reference planes or structural framings. Has the possibility to set offsets and position of floor panels. Inserts holes into selected floor panels. Updates all floor groups when the model geometry is changed. Speed Up. No more manual creation of floor panels using Revit, because Smart Floors allows you to automatically and quickly create intelligent floor panel systems according to the walls, beams, grids, or reference planes throughout the building. Smart Modeling. Offsets and other settings of floor groups are saved within the floor so you can modify and update them anytime. You can easily split selected floor panels with just one click. Easy to Use. A small set of powerful commands allows you to easily create and edit floor panels. You can update holes library according to the country‘s/manufacturer‘s specific shapes. - Cenk ERKOÇOĞLU, Architect / BIM Manager at A Tasarım Mimarlık / A Architectural Design, Turkey. "We are working on a multi-purpose building which has shopping mall, residential units, offices, storages,… and we need to differentiate every floor material according to Room’s function. We revised all different floors in the project according to room’s purpose in 5 seconds by using Smart Floor and updated all of them with one single click." 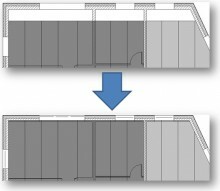 How to Model Precast Elements and Complete Documentation Much Faster in Revit®?